Kiki Layne attends the HBO Film "Native Son" Dinner At Sundance 2019 at Tupelo on January 26, 2019 in Park City, Utah. Kiki Layne looked tough in a black leather jacket at the 'Native Son' dinner during Sundance 2019. 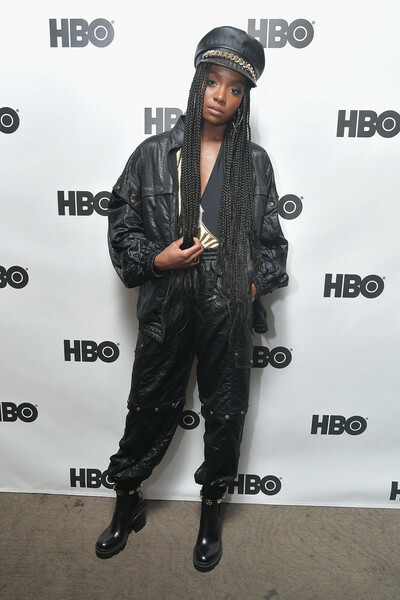 Kiki Layne matched her jacket with a pair of baggy leather pants. Kiki Layne completed her edgy ensemble with black moto boots.